Food poisoning is a type of illness caused due to bacteria, viruses or other toxins contained in food. 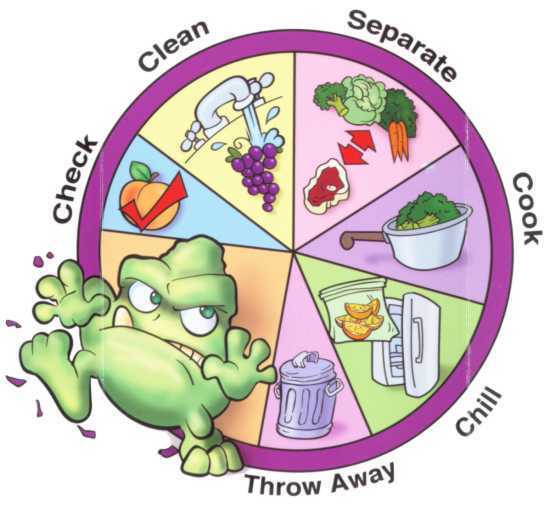 Infectious organs and viruses can poison food at any time from processing to production and food can also be contaminated at home if it is not cooked or handled well. Food poisoning symptoms often include vomiting, nausea and diarrhea. Sometimes food poisoning happens to be a mild one for some people but others may need to go to the hospital. Now let’s discuss what are the symptoms of food poisoning, how it is caused and what are the steps that can be used to prevent it. Many people get sick from infected food every year. Sometimes this disease does not cause much and you get rid of it without any treatment but sometimes you have to visit a doctor for the treatment of this disease as food poisoning can get as worse as any other serious disease. Two of the most common causes of food poisoning include bacteria and viruses. The symptoms and intensity of food poisoning depends upon what kind of bacteria has infected the food. Most of the times, food poisoning is caused by bacteria and viruses but sometimes, this disease is caused due to several natural or chemical toxins. Parasites are the beings which derive nourishment from other living organs and are the cause of food poisoning. Parasites include protozoa, tapeworms and roundworms etc. Many people have food allergy issues. Some food items like nuts, milk, seafood or eggs can cause allergic reactions in people who have food allergy and thus cause food poisoning. How to Prevent Food Poisoning from Happening? Sometimes, food poisoning might cause a severe damage to a person’s health so you must take precautionary measures and keep yourself protected from this disease. Wash our hands well with soapy water before and after you handle and prepare food. Keep your kitchen apparatus clean as well with keeping it washed with hot soapy water before and after use. In order to prevent cross contamination, keep raw food items like meat and poultry away from other food items. You should use a food thermometer in order to cook the food to the right temperature as you can kill many harmful entities in food by cooking them on right temperature. On buying food items that are perishable, refrigerate them within one hour of purchasing. If you are in doubt that the food is not prepared well or not stored safely, then throw it out instead of still making something out of it. Food left out at room temperature for too long may contain bacteria that is extremely hard to kill through cooking.